Welcome to my Zen12 review. Some months ago, after a recommendation from a friend, I began working through the Zen 12 meditation program. 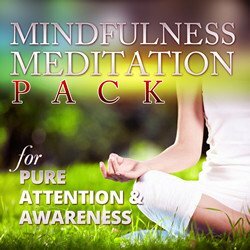 It’s a set of audio mp3 files that use a special sound technique to speed up the benefits that regular meditation gives. Zen 12 Review – What is Zen 12 and why do you need it? It is generally well understood that stress and worry is a massive problem today. We worry about everything. We worry about how we look, our job performance, our careers, our relationships, our finances and so on. We flood our bodies with dangerous chemicals intended to give us a boost for escape, but we don’t escape. We just move on to another worry, another stressor. We live fast, rarely taking time to stop and think about what is important. Meditation is the antidote to stress and is proven to help us release stress and anxiety practically from the first time we try it. As you do more you will find that your ability to overcome stress and remain relaxed will increase. You will cope better with things that may have stressed you before, feeling much calmer and more in control of your thoughts. You will probably feel happier, more optimistic, more in control of your thoughts and emotions and a greater inner peace. If you meditate regularly you will access deeper, more useful brain states. Mental benefits include thinking more creatively, having more insights into things and empathy for others and your thinking becoming more balanced. Health benefits include improvements in digestive problems, stress related symptoms, more energy and you may even start to look younger. With all these benfits you might wonder why everybody doesn’t meditate. It’s partly because many people hold certain beliefs about meditation (see my 7 meditation myths challenged article here) and partly because people don’t want to find the time. But it can take years of regular daily meditation to really master the process. That’s where Zen12 comes in. 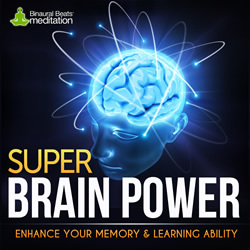 Zen12 is an audio meditation program that uses brainwave entrainment to quickly guide your mind into an ideal state for meditation. In particular, Zen12 uses superior isochronic tones, computer generated fast audio pulses. 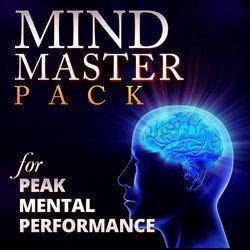 The tones gently guide your mind into a useful brainwave state quickly and effectively. That’s how Zen12 can offer an hour’s worth of meditation in 12 minutes. For the benefits meditation brings, surely it’s worth finding 12 minutes four or five times a week? Zen12 Review – How long does it take? 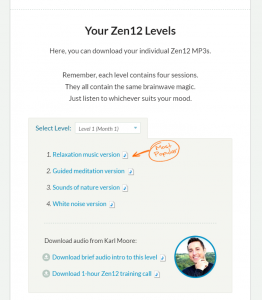 Zen12 comes in 12 levels with each level designed to be listened to for a month before moving on to the next level. The levels are generally in two stages. The first will gently guide your brain down to the desired frequency level and bring you out of it. As you become used to the state, the next level, one month later, takes you that level quicker and therefore keeps you there longer as the session is the same 12 minutes. Each level, therefore builds on the one before and strengthens your meditation practice, getting your mind used to accessing ever deeper beneficial brainwave states. See my review of brainwave frequencies and how they affect your mood here. The excellent 30 page User Manual explains the goal of each level, how to use it, the science and much more. The User Manual also explains that some of the later levels – after level 7 – require more than 12 minutes in order for you to get the desired benefit. These increase slightly each time with level 12 being a 20 minute session. Zen12 Review – What is in each level? Each level contains 1 instructional mp3 track and four other tracks. The four tracks all have the same background entrainment tones but come in four ‘flavours’ as each person may like to meditate in slightly different ways. You can always use the same flavour or mix them up according to your mood and circumstances. Guided – This track includes a guided relaxation script which helps your mind to focus on the meditation. This makes it less likely your mind will wander back to today’s challenges. The scripts include a walk along a beach and a trip through a forest, along with a suitable relaxing soundscape. Relaxing music – This track has a background of relaxing music, if you just want to close your eyes and relax to the meditation. Each level uses different music so you don’t become bored with it. Sounds of Nature – This track has a background of nature sounds. Each level uses different natural sounds and include ambient night sounds and a passing thunderstorm. White Noise – This track has a background of white noise and is particularly useful if you want/have to to do your meditation in a fairly noisy environment. The white noise helps block out background noise while still delivering the entrainment. You don’t need to do anything else, like sit in the lotus position or chant a mantra. Just press play and relax. You get lifetime support so if you are unsure about any track or level, just shoot them an email. The support is excellent. 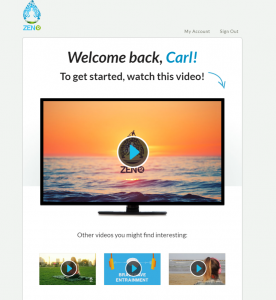 Zen12 Review – What does it cost and is there a moneyback guarantee? There are three purchase options but the one to go for is the Premium and I will explain why. There is also a beginner pack covering just the first 6 levels and an advanced pack covering just the last 6 levels but neither of these can be discounted by the pop-up discount that appears after a few minutes on the page. The pop-up window offers a discount which reduces the £87 Premium cost to $37. Just remember to put it in the code box on the purchase page. The Premium package gives you all 12 levels, a few bonus items and access to a video seminar explaining the program. There is a money back guarantee and it is for a MASSIVE 12 months. That’s right, you get a whole year to test drive the product and if you don’t like it you can get a refund. I find this level of product commitment very encouraging. 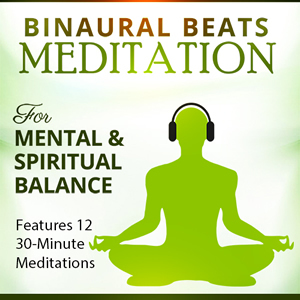 $37 dollars for a whole years quality support for your meditation is an amazing bargain. Try level 1 for free, and if you go on to purchase the product, a whole year to see if you like it. I’m on level 4 and try to listen to a track most days. It’s quite easy to find 12 minutes if you really want to do it. I listen first thing in the morning or last thing at night (trying not to fall asleep as it is so relaxing!) Sometimes I go out to a park at lunchtime and listen, just enjoying the environment. I find the sessions really relaxing and always feel good afterwards. According to the user manual Level 4 takes me quickly down to 9.5Hz, which is getting towards the low end of Alpha. At that level I am relaxed and slightly drowsy, in a slight trance. The two halves of my brain are naturally starting to synchronise and work together and I will start to be more creative, imaginative and intuitive. These benefits continue long after the session ends. I’m really interested to see how the full 12 months pan out and how much I will be improved at the end. I still use Zen12 every day and I fully recommend Zen12. Thanks for reading my Zen12 review. I hope you found it useful. Will this improve sleep?also can it still be used after the 12 months? If not what do you do then? How do you advance after the 12 months? I’m so sorry it took a while to reply but I don’t often get comments on the site and didn’t notice! 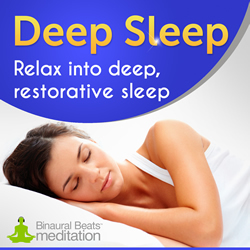 I think regular meditation will help with stress reduction and relaxation and will have a knock on effect in sleep improvement. Sorry, didn’t answer the second part of the question. After 12 months you should be a proficient meditator at many levels and you can revisit any level you want to meditate at that level. Or perhaps you can work through the guided meditations if you didn’t use them the first time.